Shelter has two unique qualities that dictate the way in which it is made. 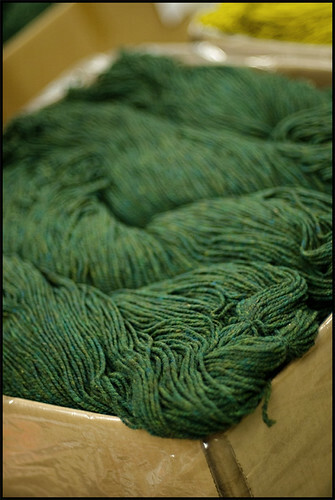 The first of these qualities concerns the way heathered color blends are achieved through a combination of dyeing and blending wool. 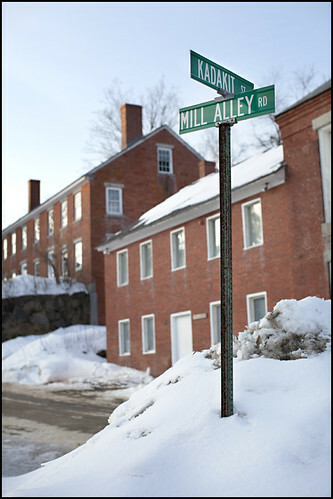 This will be the subject of today’s first installment of our mill tour. 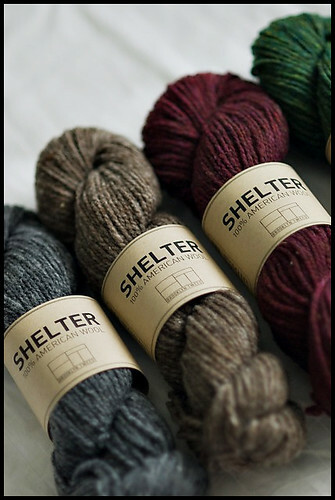 Shelter is a true dyed-in-the-wool yarn and undergoes a process known as Fleece Dying. 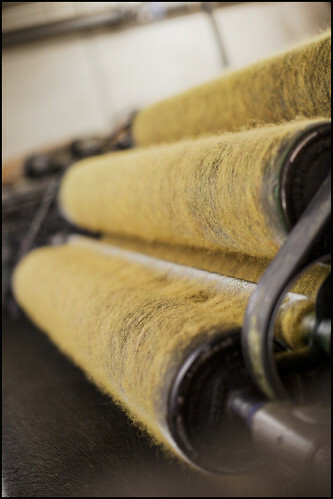 If you take a close look at a heathered yarn, paying careful attention to the individual fibers in any given length of it, you’ll notice that the overall color (a golden yellow, in the case of ‘Hayloft’ above) is actually a combination of blended fibers of many different colors. 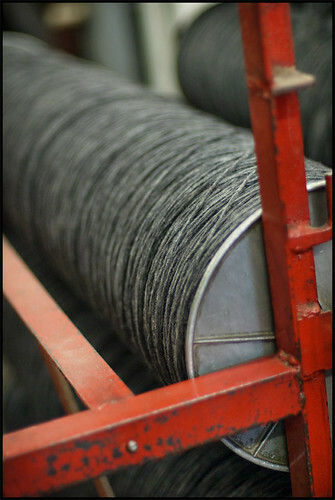 When you look closely at heathered yarns, you’ll often be surprised at just how many colors you may see in one yarn, and often unexpected ones too. 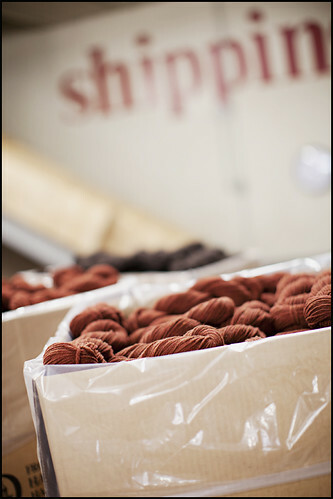 Some of our color recipes are comprised of up to 6 solids at a time. 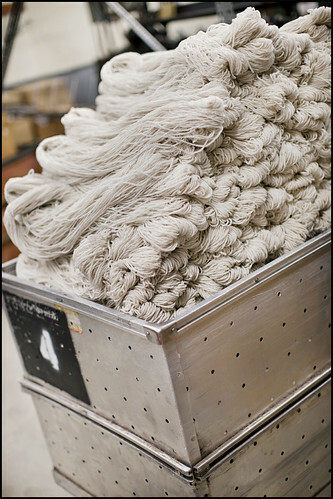 Unlike dunk-dyed solid yarns that are spun first into white yarn and dyed afterwards, these wools are dyed as large batches of scoured fleece before any spinning occurs. 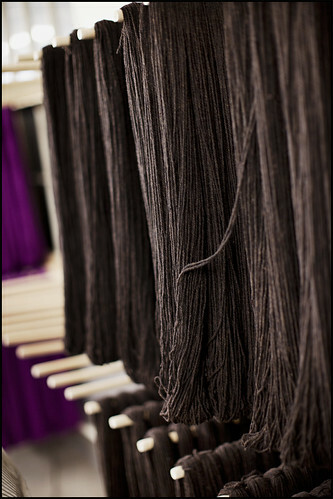 To achieve the final heathered color, various amounts of solid-dyed fleece are blended together to create the finished hue. This process is just like mixing paint colors to achieve a desired tone or shade when painting. And just like with painting, you can use a small number of base colors to achieve an infinite variety of finished colors. 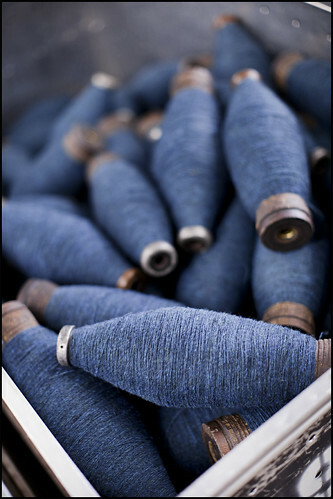 Each colorway, then, has a ‘recipe’ of solids which are blended in specified amounts to create the final result. Developing these blends allows for unbelievable nuance and was personally my favorite part of the whole development process. Palette development is a topic for another series of posts entirely, which I hope to share more about in the future. 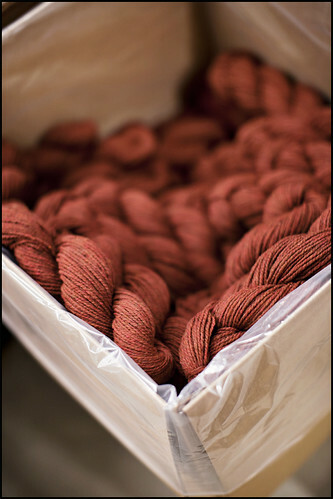 While our current palette has 17 heathered colors, we begin with a base of 10 solids from which all blends are created. One of the major benefits of composing a palette in this manner is that it guarantees a certain cohesiveness across the entire range. If all colors, no matter how different in appearance, are rooted in the same solids, they all resonate together in varying degrees of color harmony. I’m still amazed at how easily these colors seem to meld together in even the most bizarre combinations as a result of this process. 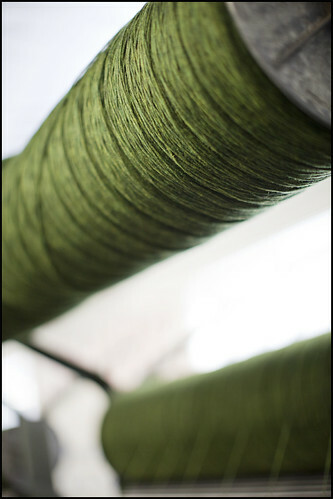 Dyed-in-the-wool yarns bring their own set of challenges as well. They involve more advance planning and projection (“Which colors use which solids? How much of each solid are needed to ensure all recipes can be made again? Will certain colors have higher demand than others? 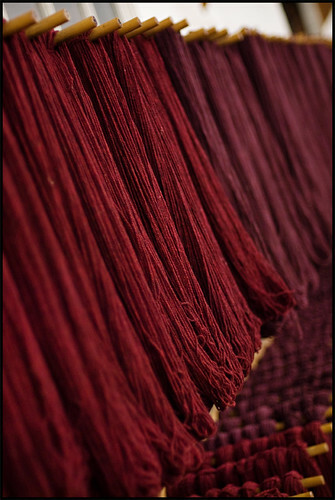 If so, how will that effect our dyed amounts?”), and are more expensive to make because of the larger initial dye quantities that are required. 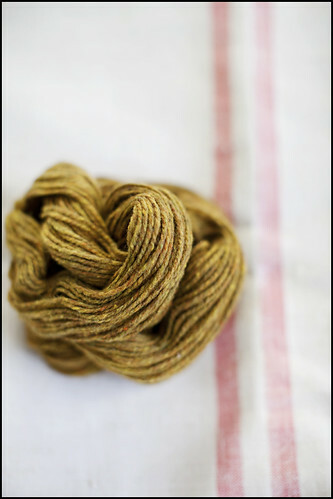 In my mind though, the end-result in fleece-dyed yarns far outweighs these particular challenges. 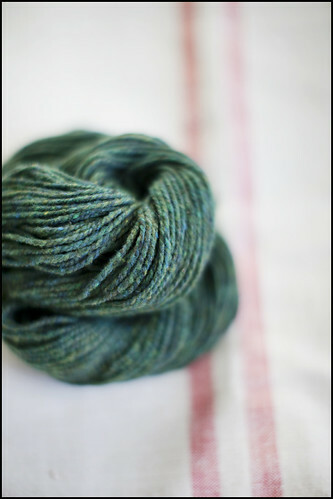 The level of sophistication and nuance that this kind of dyeing allows is really something special. 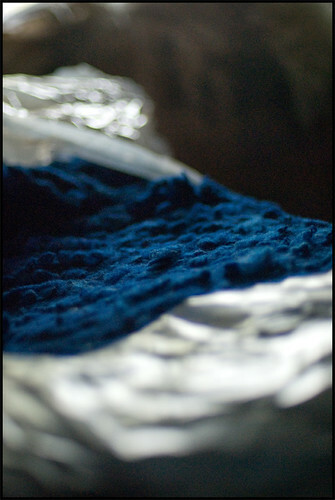 The photo above shows a detail of a giant cube of solid dyed fleece in a rich midnight blue. One of the most surprising aspects of the solids to me was how insanely bright they are before blending (for your eyes’ sake, I’ve chosen to show one of the lower intensity solids here). 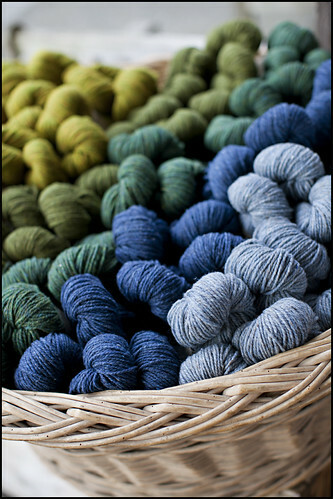 When you blend colors together, whether with paint or wool, increasing color diversity within a blend will begin to ‘muddy up’ your final shade. If you begin with weak colors, muddiness takes over much faster. 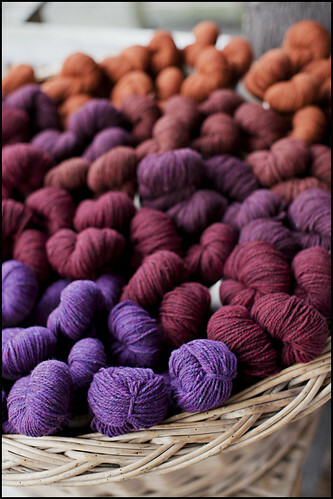 In order to keep a rich, saturated feeling of color in the finished blend, it is important to start with colors that are bright and strong. No matter how hard they are to look at during this stage, their loudness is essential. 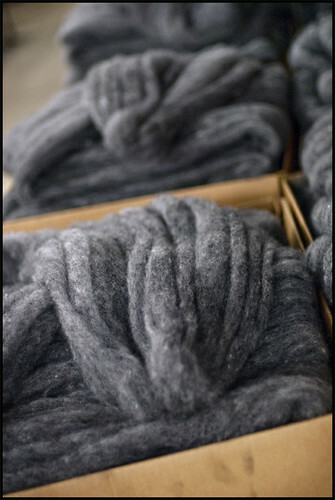 To begin the spinning process of a given color, all solid-colored fleeces that are involved in that color’s recipe must be gathered together in their corresponding percentages and put through the first stage of milling, called picking. 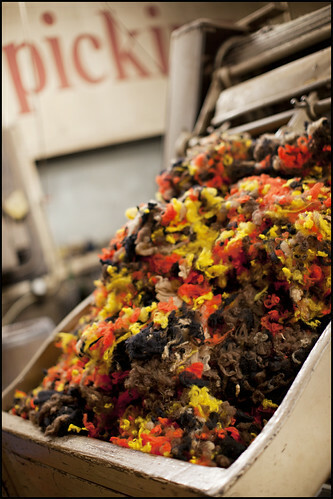 It looks like a mess now, but these brightly colored lumps of wool are at the beginning of an amazing transformation process. 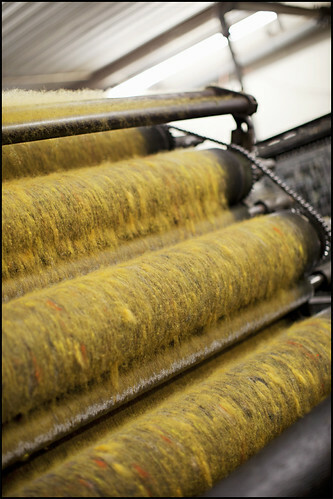 The Picker will begin the mixing process as well as apply spinning oils to the wool that will allow the carding and spinning machines to process it more efficiently. 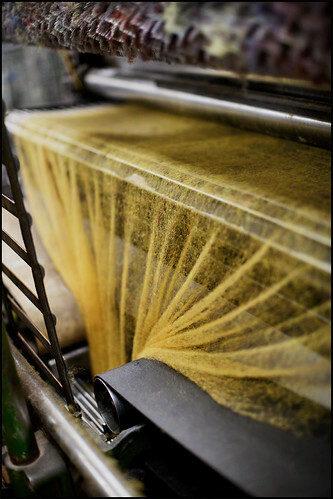 Tomorrow we say goodbye to this fluorescent wool confetti and hello to beautiful blended gold when the process of carding begins. 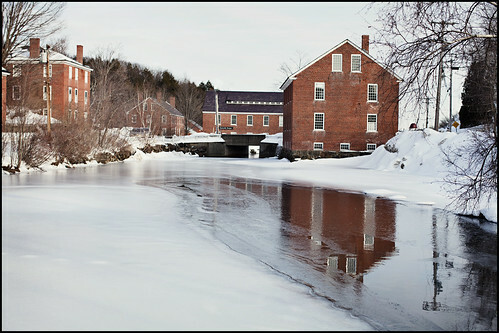 I’m writing this morning fresh from a magical weekend at the mill. While we’re just starting to feel teasing hints of spring in NYC, the past few days were such a wonderful reminder of the reasons I love Winter. 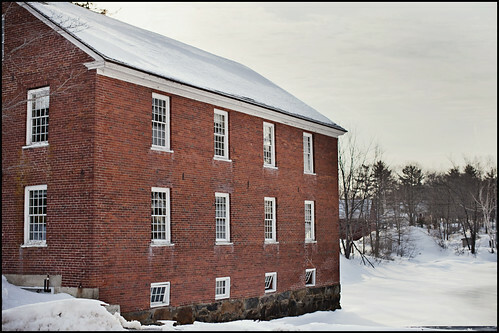 Journeying to Harrisville, which has recently been blanketed with several layers of snow, was like being transported to an ethereal winter fantasy land. I didn’t think the place could get any more beautiful… but then again, they continue to surprise me up there. The trip coincided with the long-awaited conclusion of a large production run of Shelter. So the best news of the week is that, after some rather turbulent months of being in a supply and demand tail-chase, our warehouse stock is now fully loaded! If you’ve had trouble in the past weeks getting your hands on a specific color, they’ve finally all arrived, so have at it! 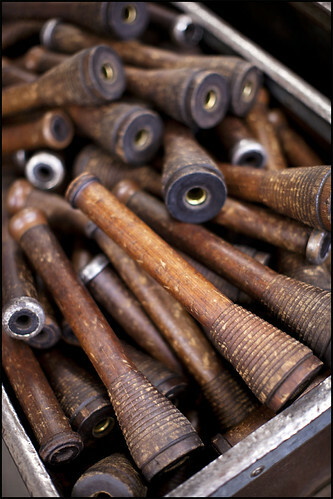 Being at the spinning mill is always a bit intoxicating. 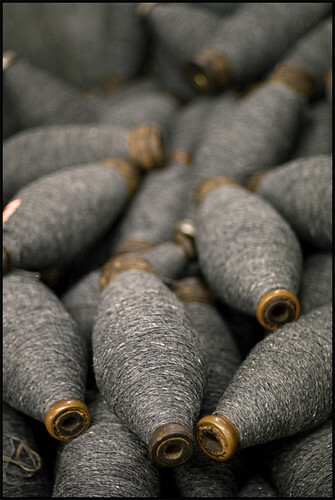 An overabundance of wool is always dizzying, but in a tweedy riot of colors, it really borders on sensory overload! 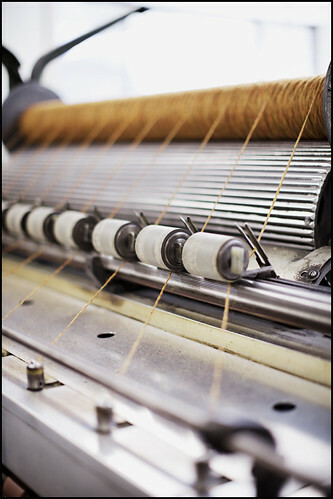 Having allowed myself some extra time for photography on this visit, I finally got the chance to do something I’ve been scheming since the very beginning: an official photo essay of the yarn-making process, from dyed wool to finished yarn. 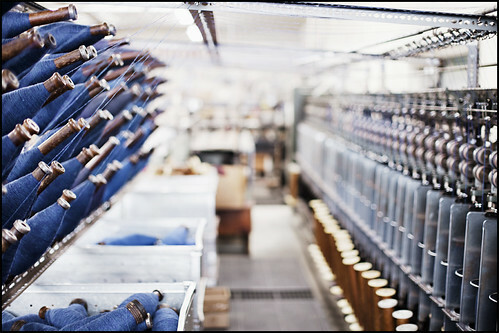 In celebration of our freshly completed production run, I’ve decided to do a special multi-part blog series this week on what happens behind the scenes at the mill. 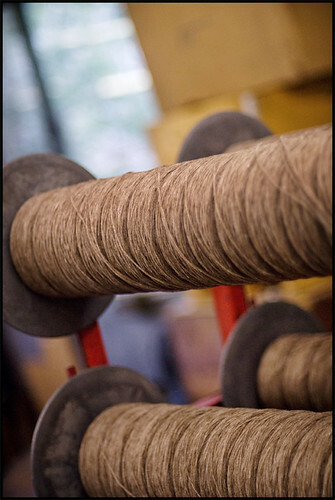 Seeing yarn being made is such a magical and educational experience. 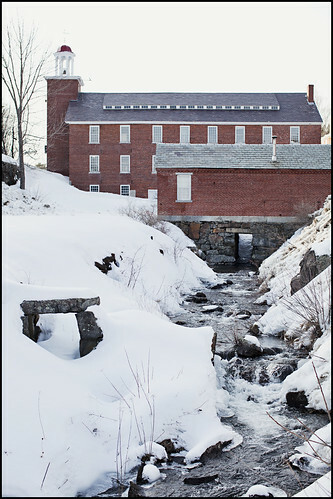 It’s a process I think needs to be shared, as best as possible, and since we can’t all meet there for a walk through the mill together, I’m hoping to bring you the next best thing. 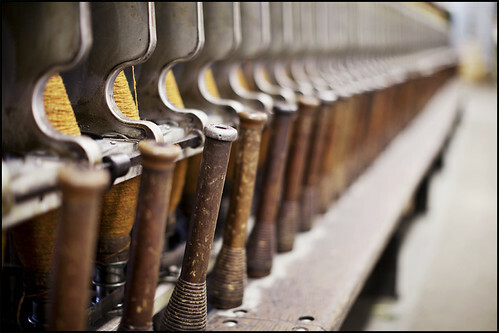 This week I’ll take you on a virtual tour-in-photographs of the rich processes that go on every day in a bona fide American woolen mill. So buckle up, the ride begins tomorrow morning.